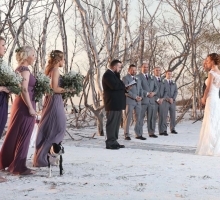 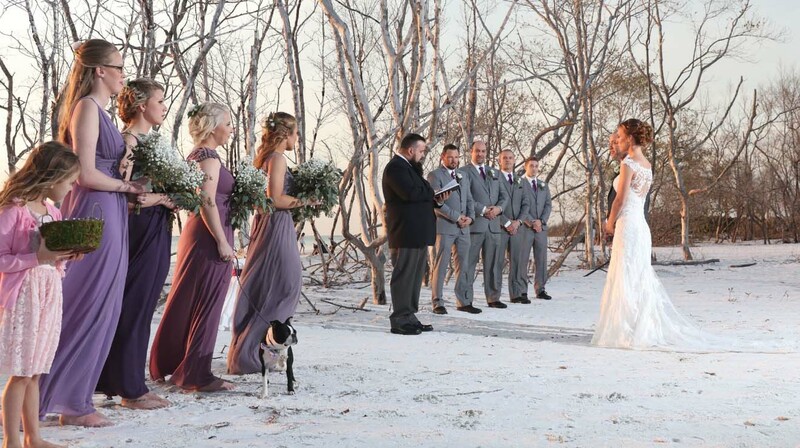 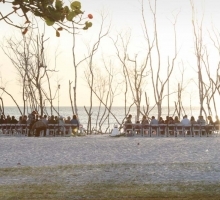 If you love nature and are looking for a location which is equally rustic and dramatic, we recommend 'Mangroves by the Sea' for your ceremony. 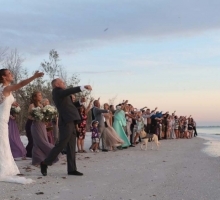 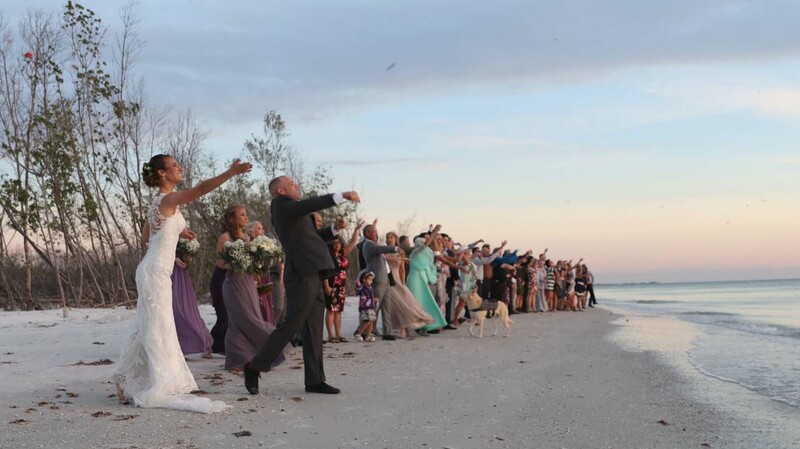 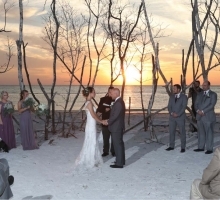 Set in a local park, this venue brings quintessential Florida beach tranquility and acts as a stunning backdrop as you say "I Do". 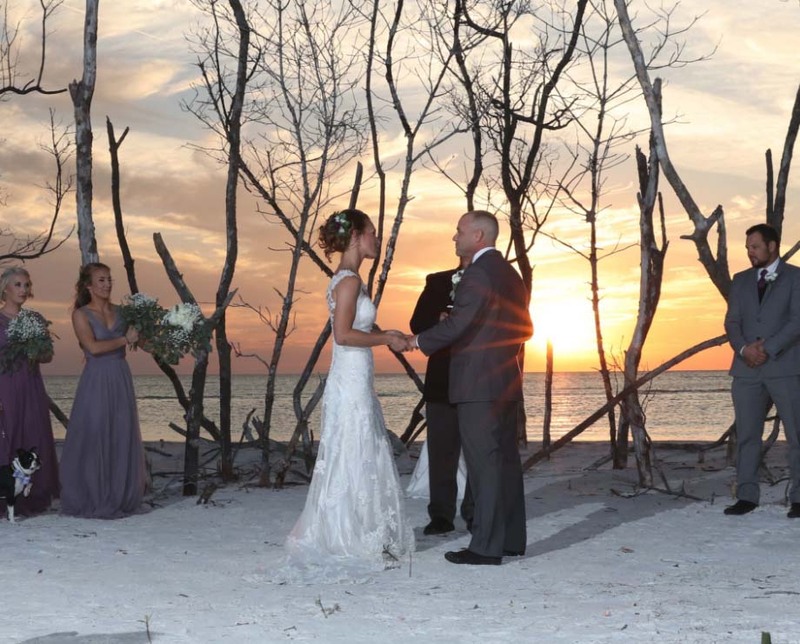 It is also a picture perfect setting for the portraits afterwards. 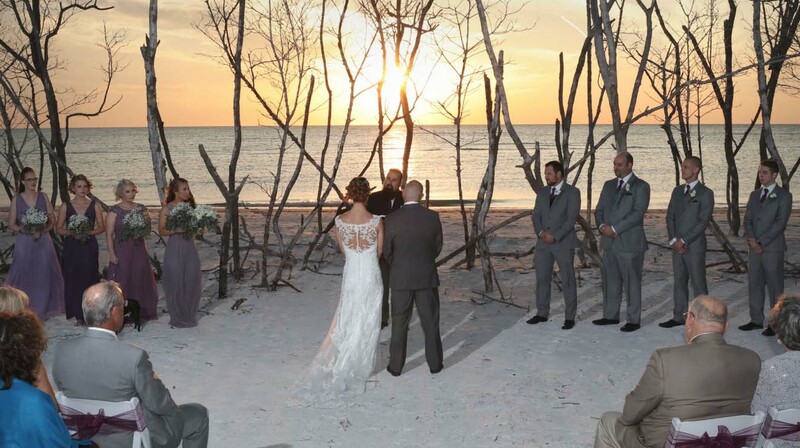 The whole panorama changes as the sun starts to set, with magical transitions in color that light up the sky and stretch shadows across the silky sand. 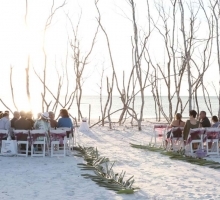 An aisle can be made up of fronds stretching towards the mangroves, tikis, shells, starfish or hooks with jars of flowers or lanterns. 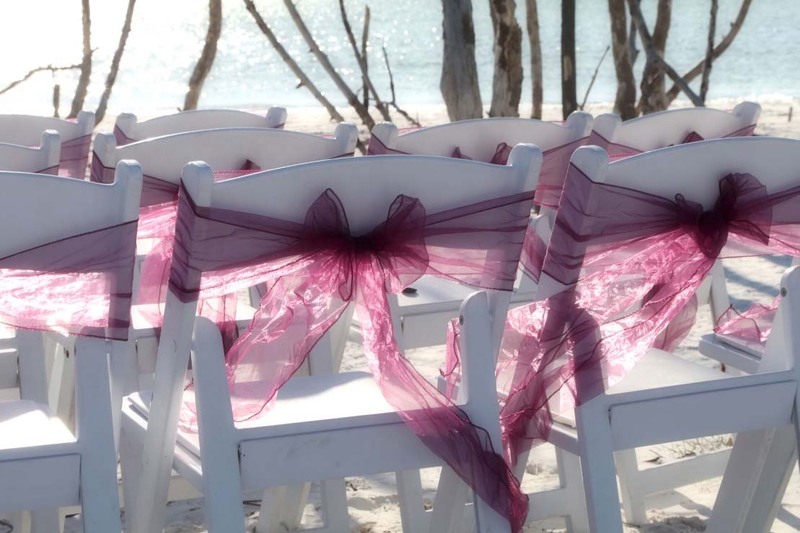 We can customize the location to make it uniquely yours. 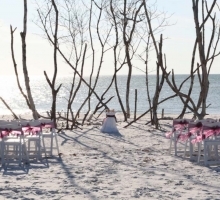 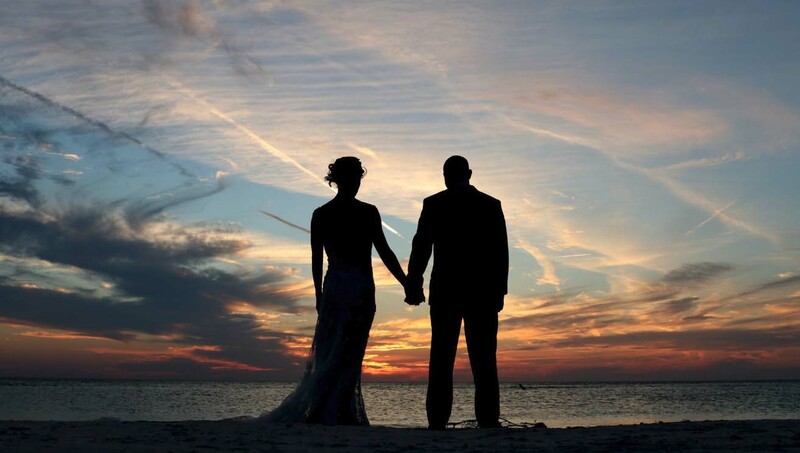 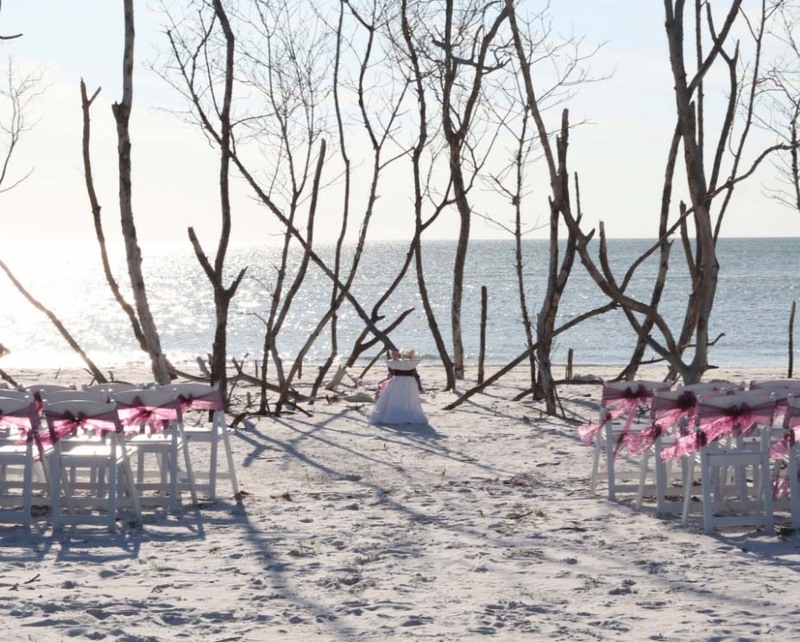 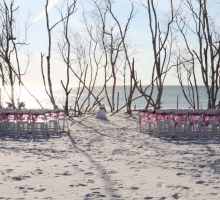 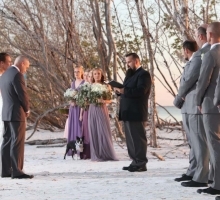 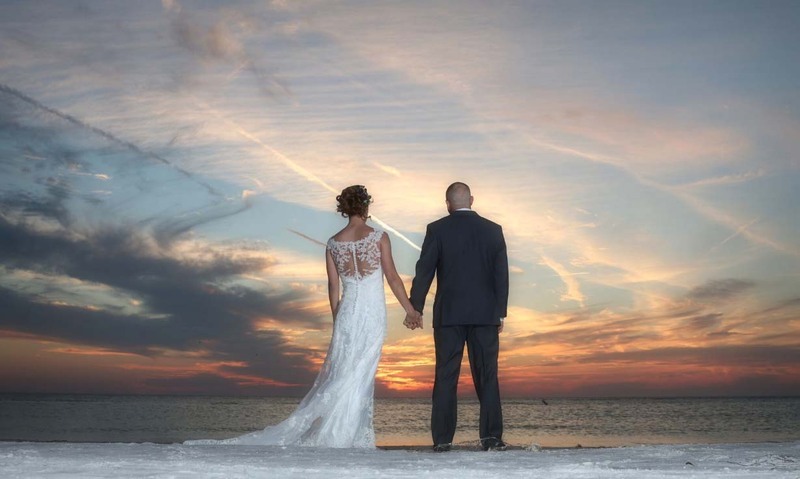 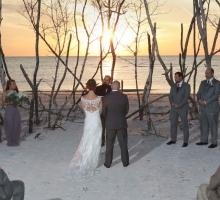 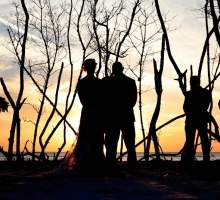 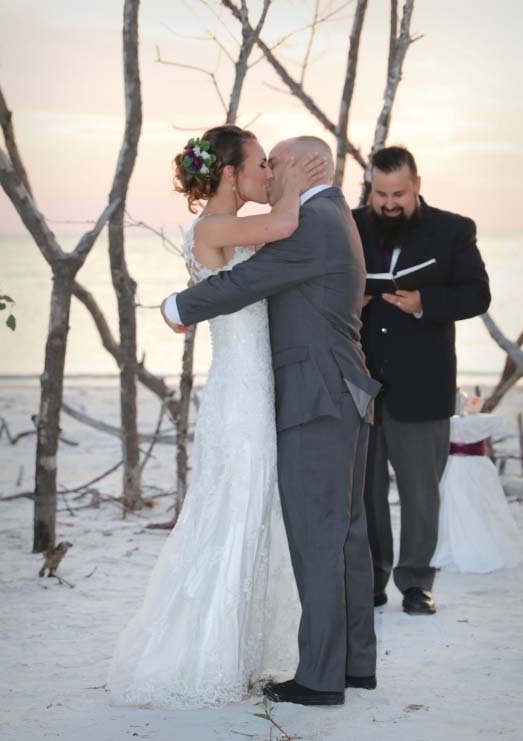 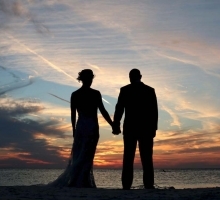 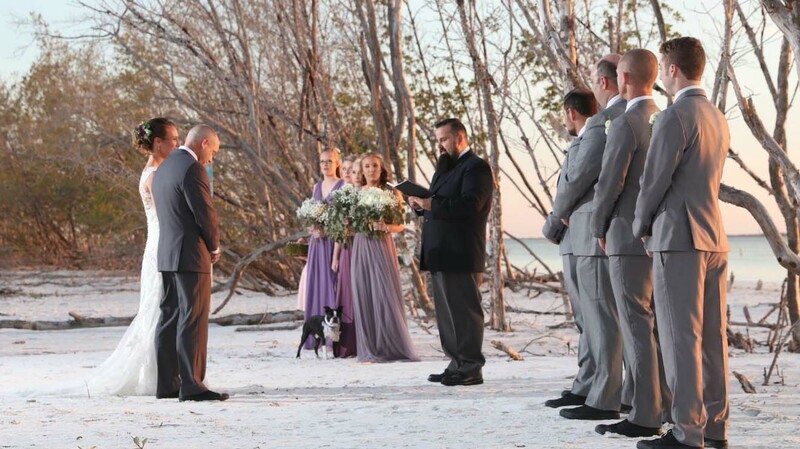 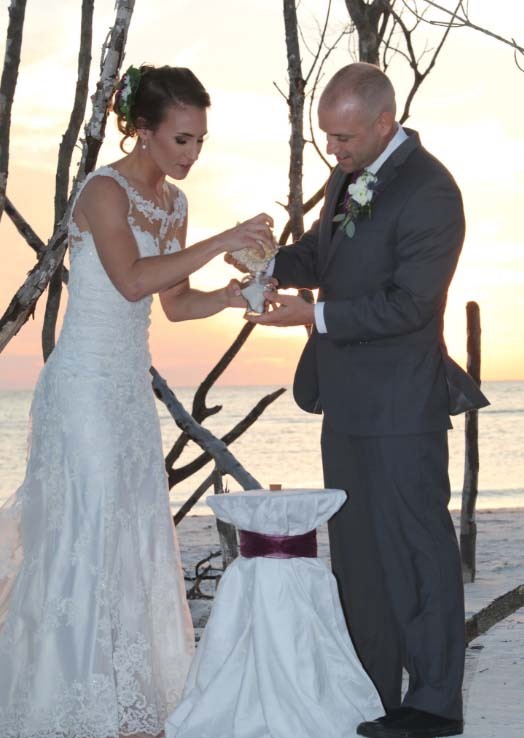 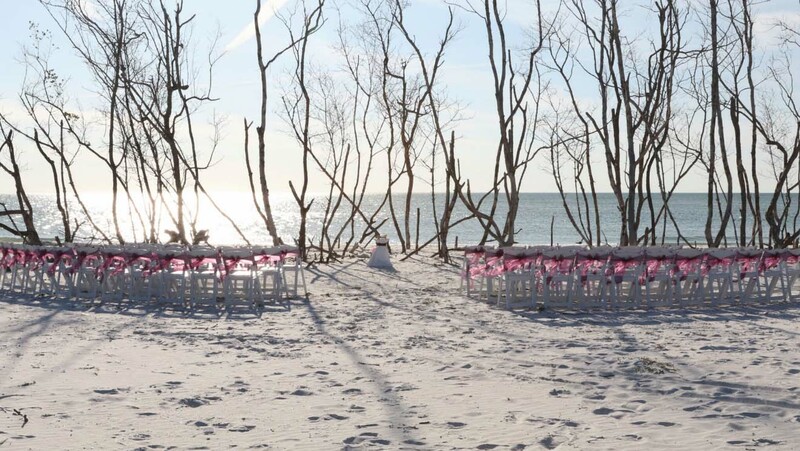 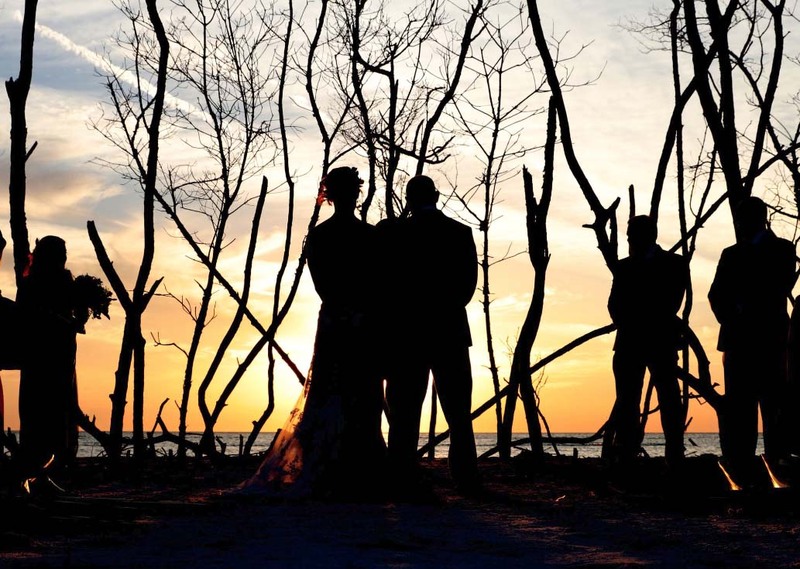 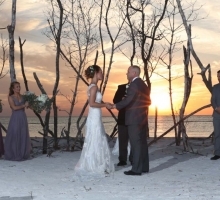 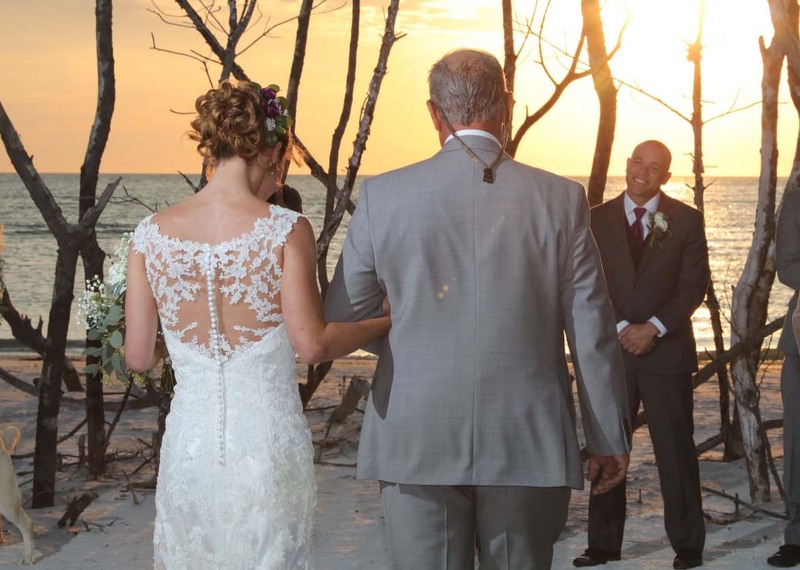 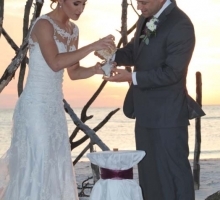 Each ceremony at this location is sure to be special, the essence of Florida with an ethereal and distinctive ambiance. 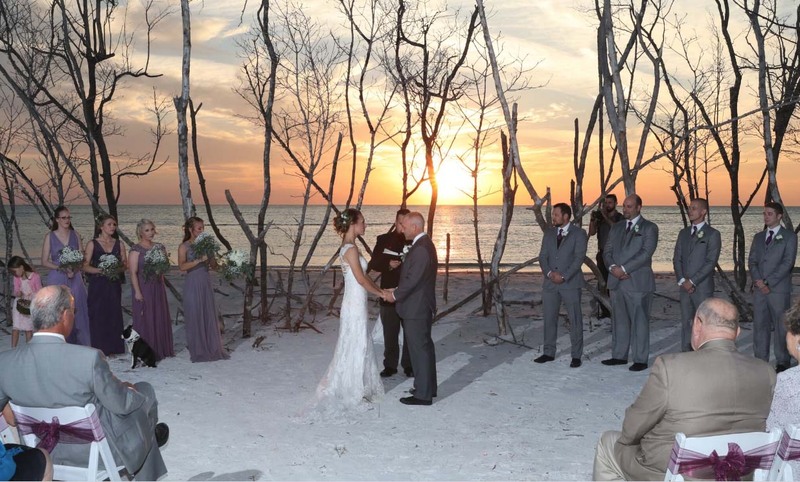 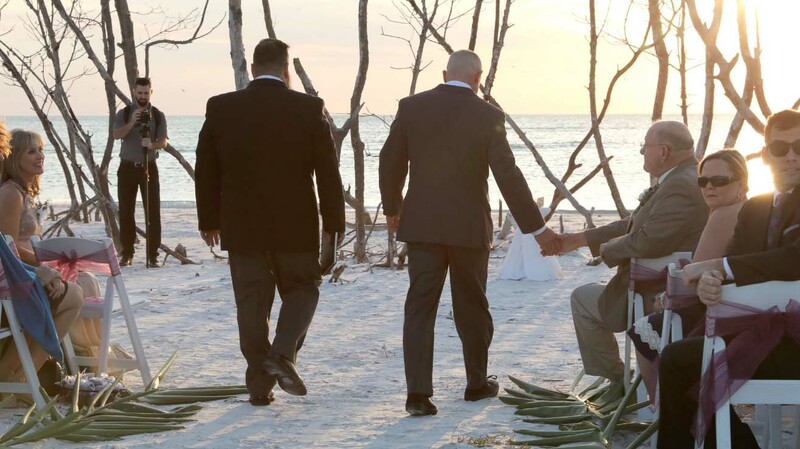 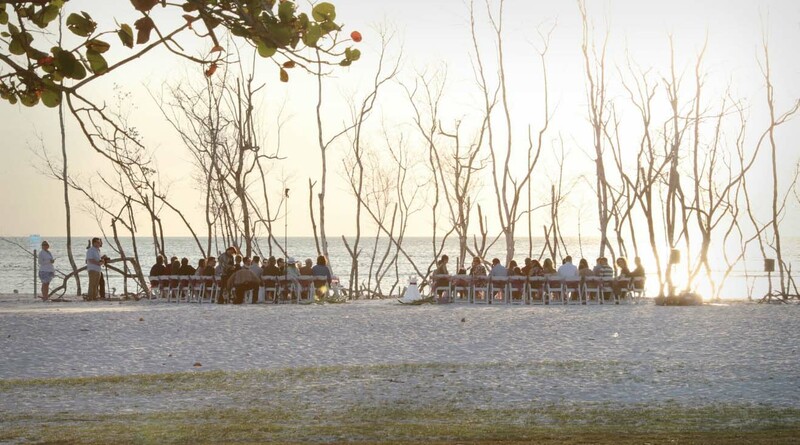 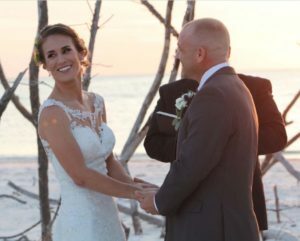 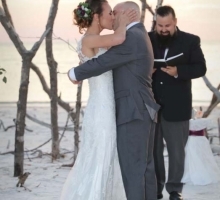 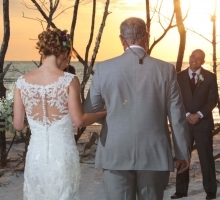 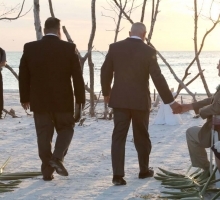 If you have already celebrated a beach wedding and are looking for a similar yet distinct venue for a vow renewal, this would be perfect. 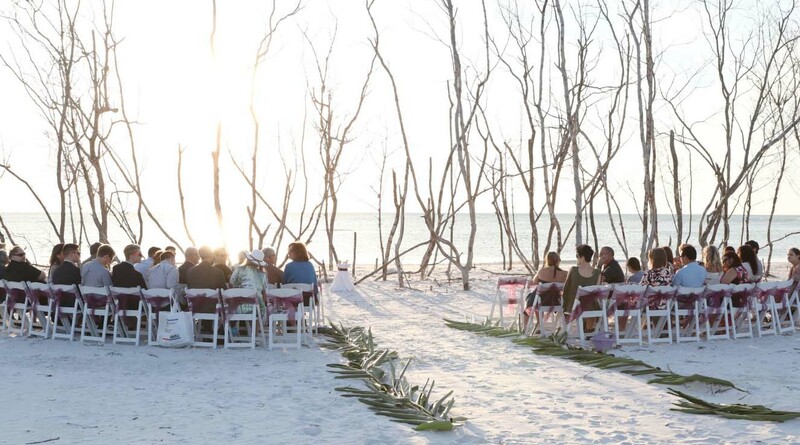 The Mangroves are neutral in color leaving the choice of accent up to you. 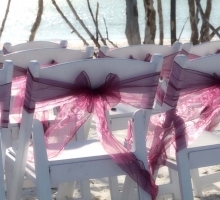 In the gallery below, eggplant sashes are elegant and timeless.